SteerClear Wheel | Why Do We Need the SteerClear Wheel? 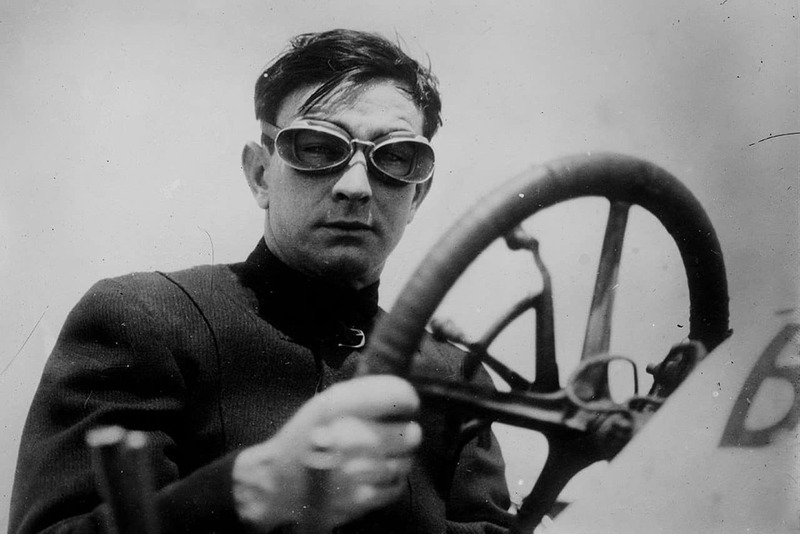 Since it’s inception the outer ring of the steering wheel has not changed much. The steering wheel is the closest connection to the driver and touches the driver’s hands and fingertips. In fact, research shows that nerve endings in the fingertips perform neural computations that were thought to occur in the brain. Fingertips are among the most sensitive parts of the body. Fingertips are densely packed with thousands of nerve endings and able to interpret vibrations. Drivers’ senses are very important to the driving process especially sight and hearing. These senses can be impaired or blocked while driving. Short drivers can not see the information on the instrument cluster because it is blocked by the steering wheel. Roughly 50% of American women are under 5’4″. Drivers who have hearing loss can’t always hear audio alerts from Advanced Driver Assistance Systems. Boomers are the largest car buying segment and have hearing problems. As Americans grow older hearing loss increases to as much as 50%. Current driver assistance (ADAS) warnings are annoying and not intuitive. There is a growing number of vehicle computer system hacks because key fob transmissions can be copied, amplified and used to open or start the vehicle. The SteerClear Wheel is a connected steering wheel with a transparent driver-facing layer, embedded color changing lights, tactile vibrations, information, sensors and security designed to keep drivers of all sizes and ages safe, secure and on course. The SteerClear Wheel displays information, lights up in different colors, vibrates to warn of lane departures or pending collisions, vibrates to guide steering and detects steering wheel movement. A fingerprint scanner touchpad with sensors provides security and functionality. The SteerClear Wheel connects via the vehicle’s computer to advanced telematics systems, city infrastructure and mapping information to guide the driver to destinations. The lighting of the steering wheel indicates when to slow, stop and go with colors that drivers of all ages understand. Short drivers can see important information in the display. Drivers with hearing loss can see the changing light in the wheel and feel the vibrations. 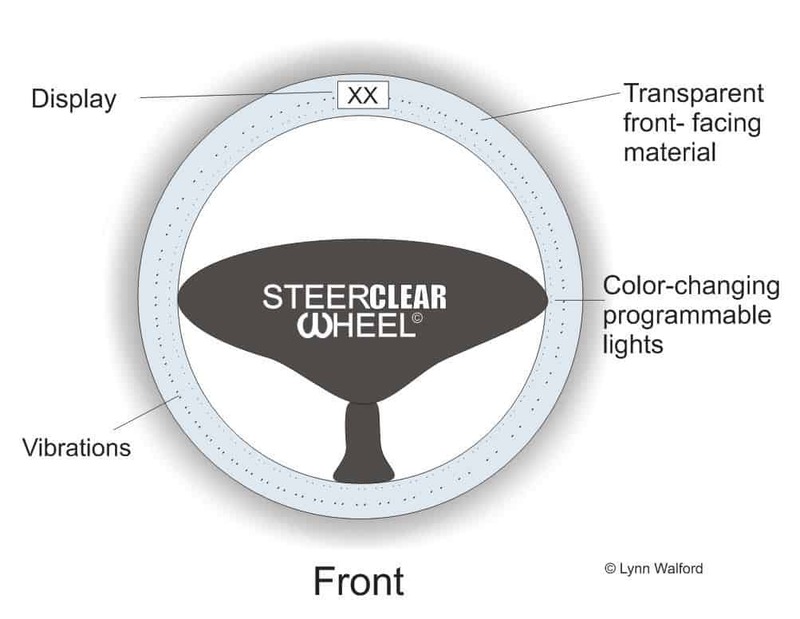 The SteerClear Wheel is intuitive and easy-to-understand. The SteerClear Wheel offers security through a fingerprint scanner in a place where it is easy to reach. See more large Drawings and Specifications.